A polymath and prolific writer, Peter F. Drucker has published influential books across seven decades. Taking a humanistic approach to management, he emphasises that it is people who create business, which in turn means that they have a crucial role in modern society. 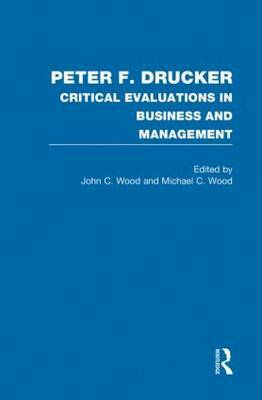 This collection gathers together key material to enable students and researchers to explore the impact of Drucker's ideas. Also included is a new introduction by the editors and an annotated bibliography to create a unique and indispensable resource for both student and scholar alike.